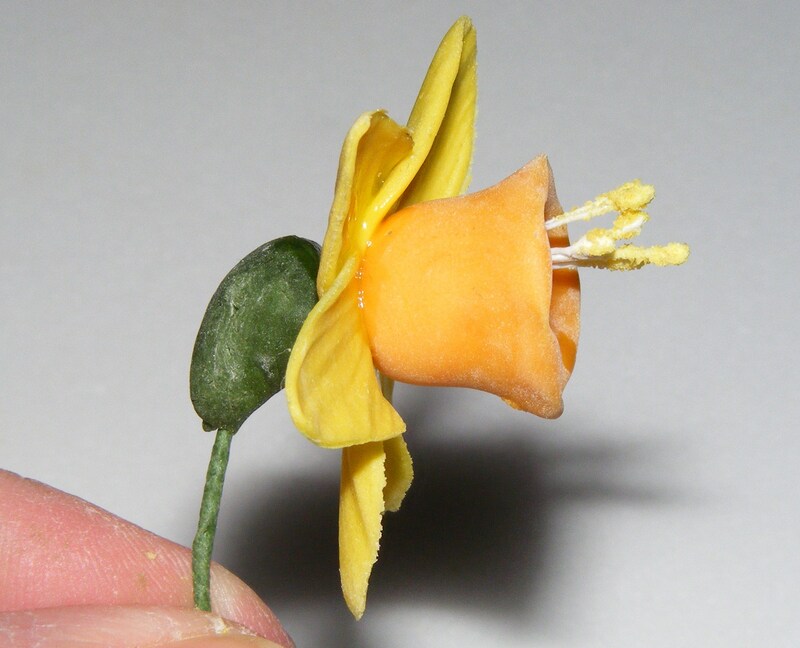 Since I am obviously in a bit of a yellow mood, what with the lemon cakes and lemon curd, I thought I would share with you my method for making wired sugarcraft daffodils. The students in my sugarcraft class really enjoyed making them and I hope you do too. Tape 6 stamen to a 24g wire. 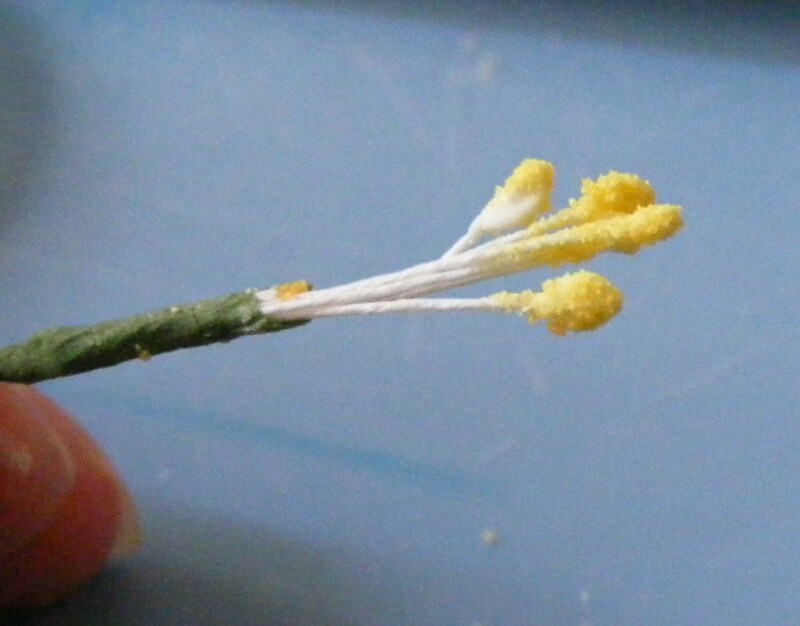 Dip in glue and dust with yellow pollen powder. 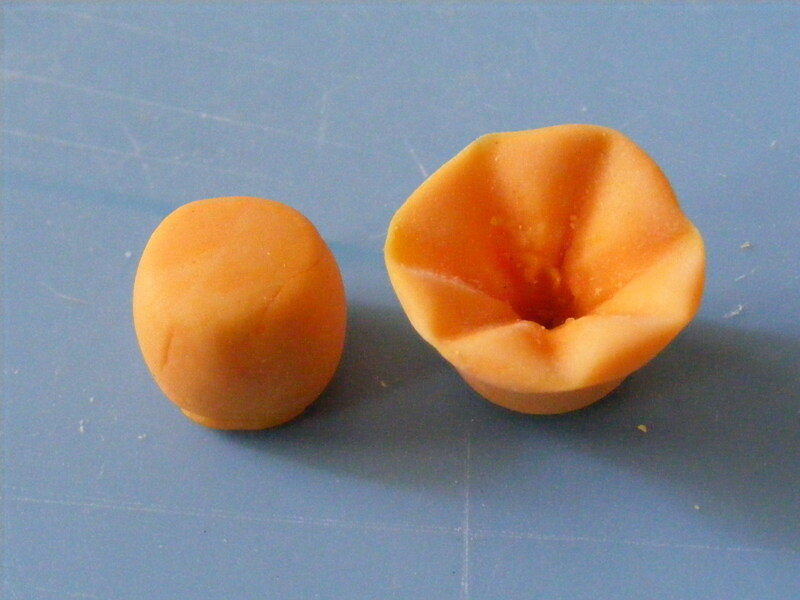 Make a small cylinder with either yellow or orange flower paste. Insert a celstick or cocktail stick into top of the cylinder and work outwards to form a frill. Pull the wire through the centre of the trumpet and secure with a little glue. 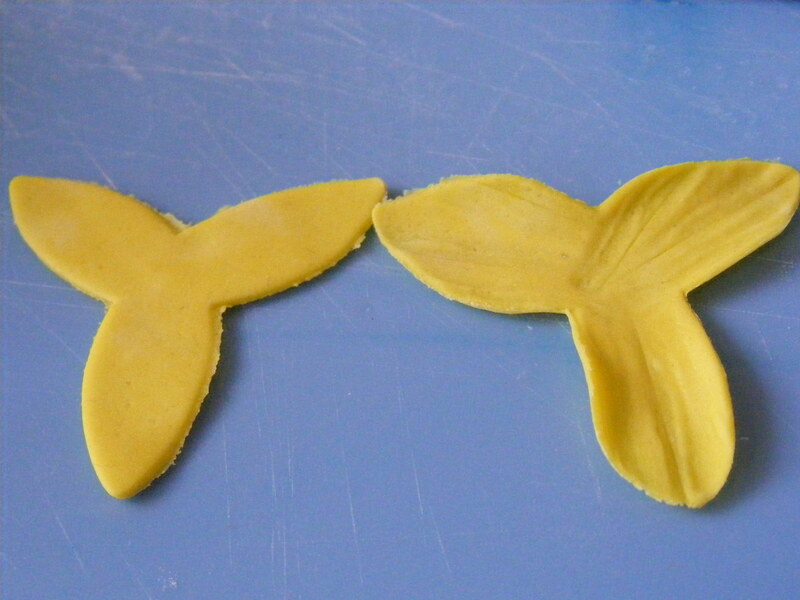 Roll out yellow paste, cut out the outer petals, soften the edges and add texture each petal with a veining tool or a cocktail stick. 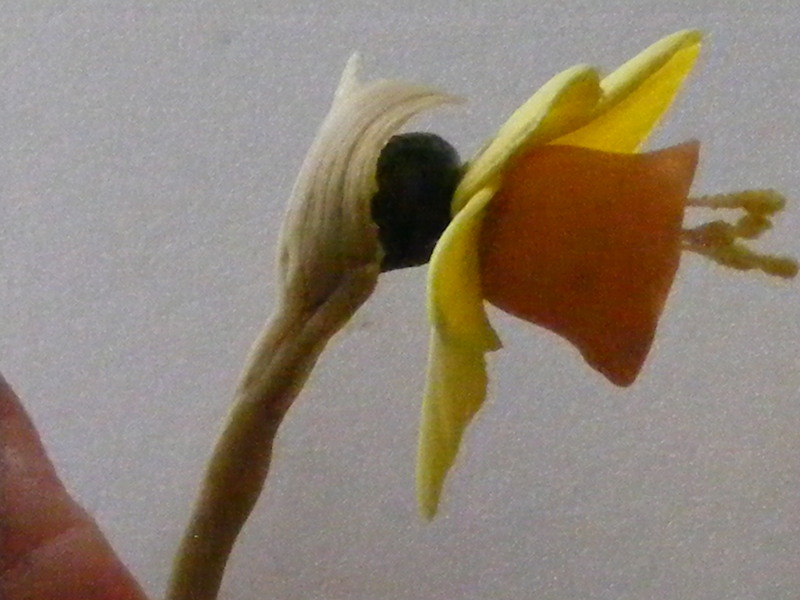 If you do not have a daffodil cutter, simply draw a propeller shape onto a thin piece of plastic, such as a margarine tub lid, cut it out and use as a template for the outer petals. Overlap the outer petals and thread onto the wire behind the trumpet.Roll a small cone of green paste and secure behind the petals. Carefully bend the wire. Roll a small piece of cream paste very thinly. Emboss with a corn husk or mark with a cocktail stick. Tear into an oval shape and then secure to the stem. 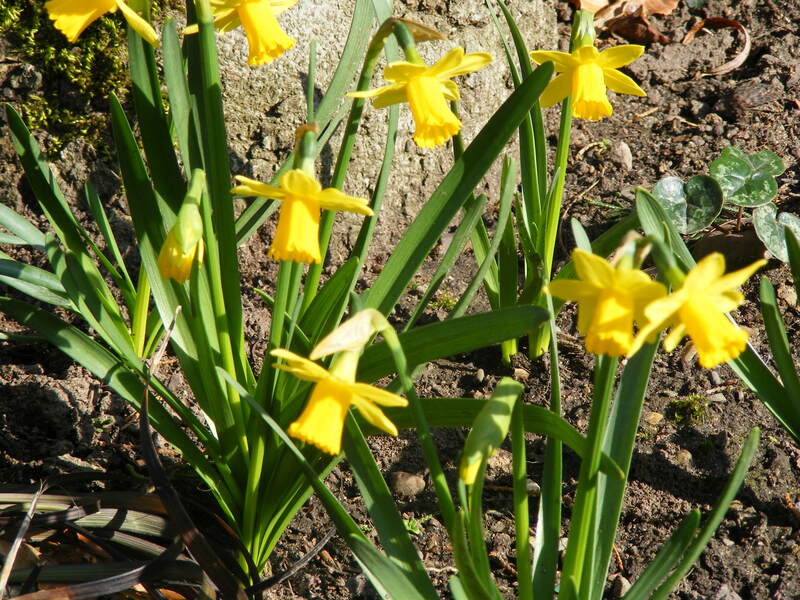 As I told my lovely ladies, every daffodil is unique and individual and with so many different varieties, the daffodils they have made can never look “wrong”! This is a really simple method and it has never let me down yet. I hope you find it simple and straight forward too. If you have any problems or queries please feel free to get in touch.